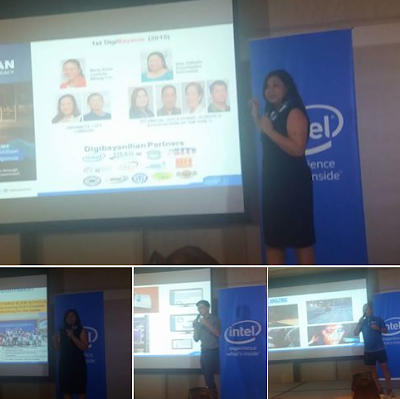 Last March 17, 2016, Intel Philippines unveiled a series of new devices and technologies that are expected to deliver new technology-enabled experience. This include the 6th Generation Intel Core processor that power a broad range of computing form factors, as well as the Intel Curie module which provides real-time sensor data and will enable consumers to experience technology like never before. Innovations demand for better-performing, more efficient devices that help users do more. As the nature of technology shifts to adapt to the needs of consumers, Intel’s efforts bring to life even more amazing experiences for its users. The 6th Generation Intel Core processors, Intel’s best processors ever, deliver enhanced performance and new immersive experiences at the lowest power levels ever. These enhancements include a new quad-core Intel® Core™ i5 processor that offers up to 60 percent improved mobile multitasking. The 6th Generation Intel Core Processors also enable amazing experiences for the user. Devices can now utilize WiGig™ and Intel® WiDi™ features for wireless display freedom, Intel RealSense™ Technology and Windows Hello* for password-free log-ins, and the integration of Intel RealSense and Cortana* for more immersive interactions with virtual assistants2. More than ever, these experiences will redefine technology consumption and creation in the years to come. The flexibility of the 6th Generation Intel Core Processors allow it to be a scalable processor that helps enable a broad range of device designs such as 2-in-1s, All-In-One desktops, and even Intel’s 2nd Generation Intel® Compute Stick™ powered by the Intel® Core™ M Processor. “As technology evolves and becomes more accessible, consumers will continue to discover new ways to utilize more of it. 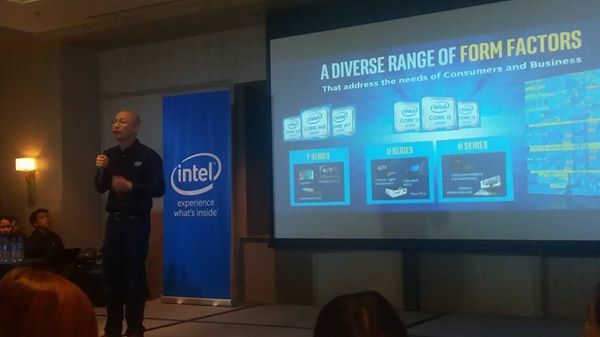 The 6th Generation Intel Core Processors have the power and performance to keep pace with the growing needs of our users and deliver an amazing computing experience,” Intel Philippines Country Manager Calum Chisholm related. New devices that take advantage of the Internet of Things now make it possible for “things” that were never connected before to provide insights to activities that have never been seen before. This presents yet another opportunity for Filipinos to maximize the benefits of technology in their lives. Intel’s Curie module, a small chip the size of a button, is designed for use in wearable devices, enabling users to track real-time data with built-in sensors such as accelerometers and gyroscopes. The module revolutionizes the way users view technology, literally enabling them to connect their “things” to the Internet and bring meaningful change to the way they experience technology. “The Internet of Things is one of the main drivers of innovation today. With almost 50 billion devices connected to the Internet, IoT presents another opportunity to enhance daily life through technology. Intel is bringing this experience closer to consumers through technologies like Intel Curie, and the boundaries for the use of such innovative technologies is truly only limited by users’ imaginations,” noted Chisholm. There is no doubt that the Internet of Things will become much more common in the years to come. With everything in our environment made capable of automatically communicating with each other without any inter-human or human-to-machine interaction, the Internet of Things proves to be extremely beneficial. Having more information helps us make better decisions. By bringing IoT to the level of consumers and power users, private institutions and the academies have now become starting points for individuals to try their hand in creating new technology. 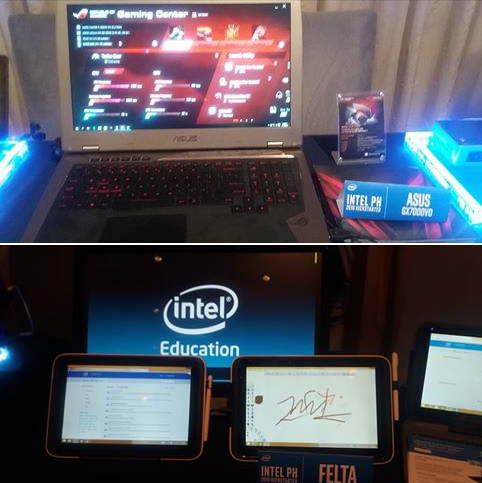 Through Intel’s collaboration with various ‘Maker Labs,’ organizations such as the Philippine Society of Information Technology Educators (PSITE) and academia from the University of the Philippines, a total of 400 Intel® Galileo development boards were provided to serve as educational platforms for students and individuals who aspire to create their own innovations powered by the Intel chip. “Our work with private institutions and the academia demonstrates the results of what technology can do for education. A great example of this is our work in rebuilding and providing digital devices to Sto. Niño Elementary School, where we were able incorporate technology into the students’ education,” said Chisholm. “These efforts integrate our innovations deeply into education efforts locally, and enable us to contribute to the Filipino community – by ensuring that students and individuals are given a strong chance to realize their full potential through the power of technology,” he concluded.